MERCEDES-BENZ 001 250 97 01 Materials: Steel: Bao Steel (best steel in China) Spring: 55CrSi ( 3.5 million using times) Facing: Raybestos, KEMA, KETE, ALWAYS (depends on customer's requirement) Hardness: HV500-600 Heat treatment: 0.2-0.4mm Facing thickness: 3.7-3.85mm (more using time) Three level damping: damper spring, cushion segment, pre-damper spring Cushion segment: 65Mn with Wave Original part No. or SACHS No. are for comparison only. 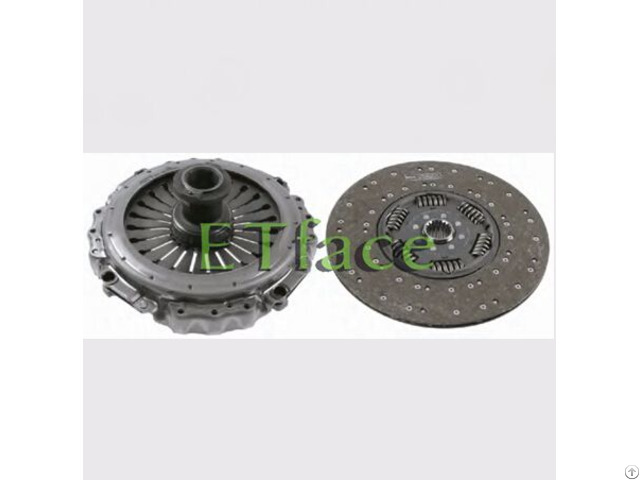 Business Description: The subordinate clutch kits and release bearing factory of Tongue Group was founded in 1994, located in Wuxi City,JiangSu province, producing the truck clutch kits、clutch cover、clutch disk、pressure plate and release bearings. We are the OE factory for Chinese trucks and buses such as BeiBeng、SINO truck、 Dong-Feng truck、FAW truck、YuTong bus、Jin Long bus etc. 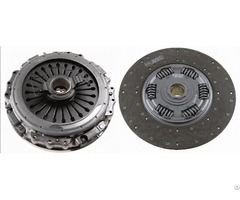 To develop the international markets and make it more convenient for our foreign customers to visit our factory, we moved the clutch kits production line to Shanghai in early 2015. 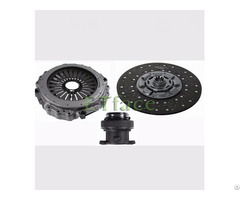 Shanghai ET Auto Parts Co., Ltd specially develops clutch kits for European trucks such as MAN、MERCEDES BENZ、VOLVO、SCANIA、DAF、RANAULT、IVECO and American trucks such as INTERNATIONAL、FREIGHTLINER、KENWORTH and MACK etc. 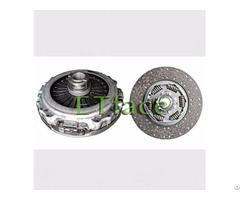 Our overseas main market is in Europe, North America, South America, South Africa, Middle East etc. Due to our OE quality and good service, we have good reputation in the market. We are looking for the close cooperation with the customers from all over the world.